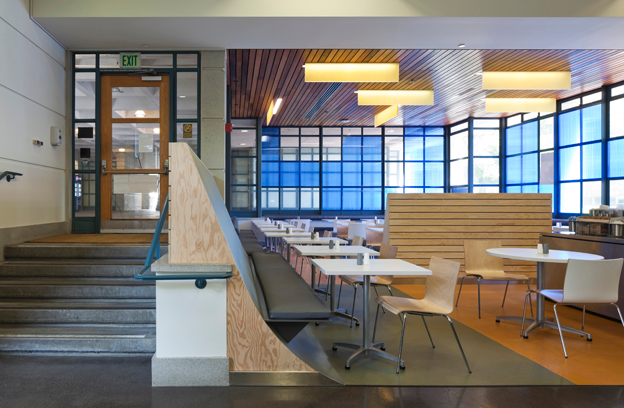 A complete renovation to an existing UC Berkeley cafe, the new Pat Brown’s Grill is a 2,500 square-foot restaurant with a food service area, kitchen, seating area, and Peet’s Coffee service bar. The new restaurant is a highly functional space with improved lighting, a digital TV menu, and updated kitchen equipment. 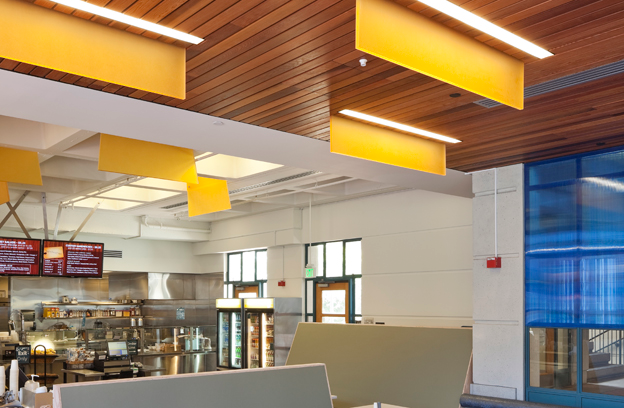 The fully automatic daylight dimming allows electrical lighting reduction during daylight hours. The project exceeded Title 24 by 25 percent and received LEED Gold certification.